I'm back on duty, or I at least remembered to do this post before work got too crazy. I hunkered down Friday and called a snow day for the office. 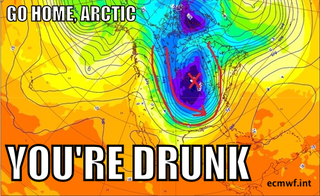 Polar vortex incoming tonight. If you want posting privileges here, comment below. We'll consult the mutant polar bear army that's invading the US right now.